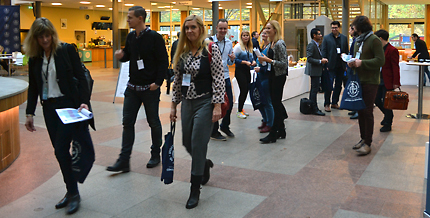 The 4th Nordic Retail and Wholesale Conference was organised and hosted by the Center for Retailing at the Stockholm School of Economics and for the first time a Doctoral Colloquium was held on the day preceeding the conference. 18 doctoral students met at the inagural Colloquium to learn more about the reseach process and make new connections with other retail researchers. The conference attracted just over a hundreds participants and almost 70 papers were presented in different sessions with themes like; digitalization, CSR, consumer behaviour, marketing and management. 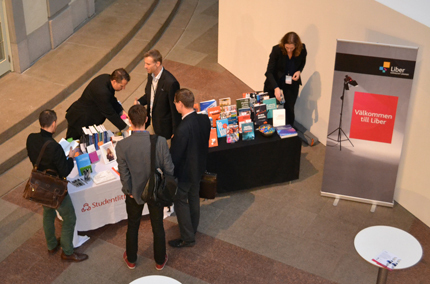 Digitalization and CSR were both very popular and gathered many researchers. The keynote speakers inspired the audience with there experience and knowledge. Ann Carlsson, CEO of Apoteket, talked about shifting a former state owned monopoly into a competetive business and Praveen Kopalle, professor in marketing at Tuck School of Business at Dartmouth, shared his knowledge on how to use all the data that is collected on the customers today succesfully. Johan Kask and Tobias Johansson, Örebro University, won the first Best Paper Award to be presented by Handelns Utvecklingsråd and Hakon Swenson Stiftelsen at the confernce for their paper “Configurations of strategy and marketing channels: A qualitative comparison analysis (QCA) in sporting goods retailing”.